It seems like magic, but it’s really just 21st Century technology. Carbon Spectra Peel can restore damaged skin to it’s original, youthful condition. Laser resurfacing allows molecular bonds to be disassociated, thereby restoring scar tissue, wrinkles, blemishes, open pores, sun damage, and even stretch marks to the skin condition that existed before the damage occurred. The revitalizing effects of Carbon Spectra Peel therapy have been documented in numerous clinical studies ; more importantly you will experience immediate skin improvement, and it is an entirely non-invasive procedure – no cutting, no stretching, no tucking; it’s the healthy alternative to cosmetic surgery. Precision Laser, at 886 Somerset West in Ottawa, is a world leader in laser cosmetic services, offering its unique Carbon Spectra Peel treatment to the Nation’s Capital. It uses a 1060 mm carbon laser in a two-step process to reduce pore size, acne scars, and eliminate fine wrinkles. First, the Spectra mode emits laser pulses to heat the thin layers of collagen and skin tissue; next, the Q-switch mode removes a thin layer of skin. This superficial peeling effect is immediate – there is no delayed exfoliation as seen with chemical peels. Superficial peeling, with Spectra Peel technology, removes excessive sebum, exfoliates the upper layer of skin and unplugs pores. Carbon particles penetrate the pores and explode as they absorb laser energy. Collagen production is thus stimulated causing the inner walls of the pores to shrink. Regular treatment promotes regeneration of collagen to improve elasticity of the skin. 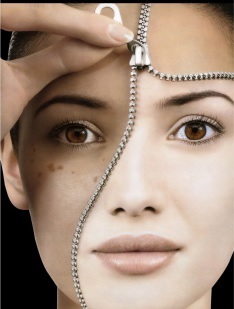 Carbon Spectra Peel treatments can also reduce acne scars, while improving uneven pigmentation and poor skin texture. The treatment uses a dual-pulsed ND: YAG laser that can only be administered by our laser-certified technicians. You will notice immediate skin improvement after the very first treatment. Generally, a Carbon Spectra Peel treatment takes only about 30 minutes to administer, and most people find the procedure very comfortable. There may be minor irritation and redness lasting only a few hours, but you can resume work immediately, with no downtime after the treatment. You are encouraged to avoid direct sunlight, immediately after treatment, or use sunscreen when staying outdoors. The effect is immediate – you will experience noticeable improvement after the very first treatment. Active acne will improve, and cystic or nodular acne will be reduced. After three or more treatments, new acne is also thwarted. The treatment, entirely comfortable and extremely safe, is so effective that even tattoo scars can be reduced or eliminated. In most cases four treatments, repeated every two to three weeks, are required for optimal results. Subsequent treatment, every two to three months, is recommended to maintain a glowing, youthful complexion.